Spanning the traditional vs. self-publishing divide, German publisher Carlsen and self-publishing platform Tolino Media will jointly host a writing content to recognize emerging talent. Self-publishing is increasingly shedding its former image as an outsider in the publishing industry, as a space only for those who can’t get a “real book deal.” Traditional German publishers are starting to recognize the potential that self-publishing platforms like Tolino Media, Neobooks, Bookrix and others offer them in finding new authors. Many publishers are beginning to use such platforms to scout for young and promising talent. 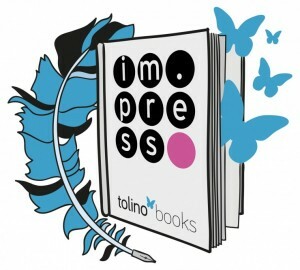 Now Impress, the digital-first, YA romance imprint of Carlsen Verlag — one of the largest German children’s book publishers — has teamed up with the Munich-based self-publishing platform Tolino Media to host a writing contest. The winner will not only find fame and glory, but also win a print publishing contract with Carlsen for its Spring 2017 program. The ebook will be sold exclusively Tolino and will get a guaranteed presentation in all brick-and-mortar bookstores in to the German Tolino Alliance — Thalia, Weltbild, Hugendubel, Club Bertelsmann, Libri, Deutsche Telekom, Mayersche and Osiander. A jury, consisting of book bloggers, Impress editors, Tolino Media publishing managers and booksellers will decide the winner in September 2016. A public announcement and award ceremony will take place at the Frankfurt Book Fair in October 2016. For those arguing that many self-published authors are not interested in traditional publishing deals, the numbers paint a different picture. According to Matthias Matthing’s 2015 study of self-publishing in Germany, only 5 percent of surveyed authors said that they were not interested in a traditional publishing deal. But it is true that self-published authors are becoming more self-confident: while only 9 percent reported wanting a traditional deal without any doubt, the astounding majority — nearly 82 percent — said they only want to change over to a traditional publishing house if the conditions are right. To find out more about Tolino Media, founded by Tolino, Germany’s bookseller alliance, check out our article Tolino Launches Self-Publishing Platform in Germany. To see what Impress is all about and how they market their books to YA-readers, read our article Herzenstage Virtual Romance Festival a Hit with YA Readers. To learn more about the Tolino Bookselling Alliance, take a look at our article German Tolino Alliance Welcomes New Booksellers. For more on German Selfpublishing, see our article The State of Self-Publishing in Germany.